By now you would have read my reviews on the Yarn Works and Spinning & Dyeing Yarn books. Did my feeble attempts to dye cotton inspire you to also dye your own yarn? Want to give it a go? 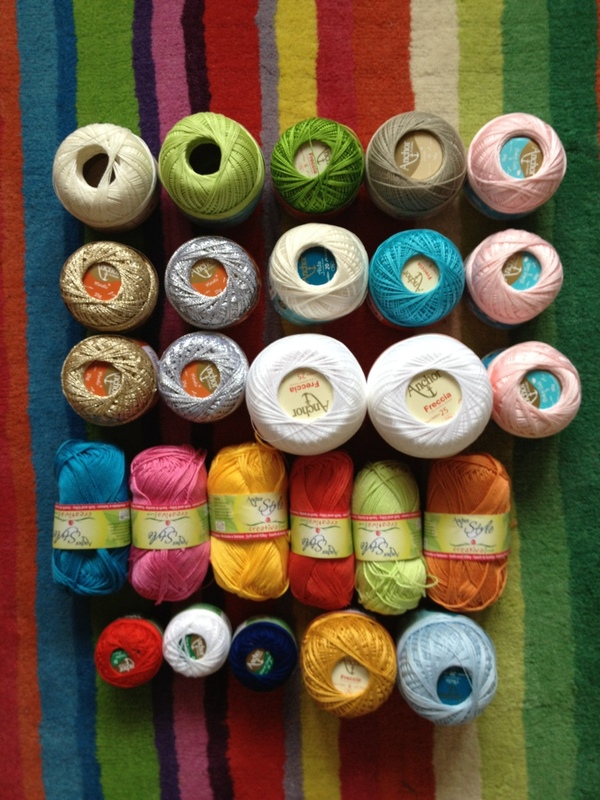 Just visit my Facebook Page, like the page and tell me what colour you would dye your yarn. I will draw the winner randomly. 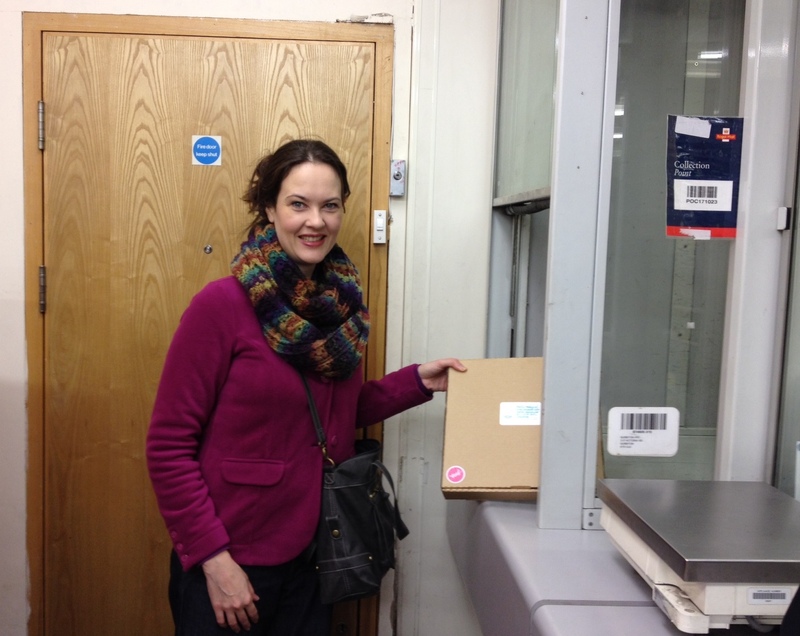 If you are the lucky winner you can tell me which of the two books I should send to you. 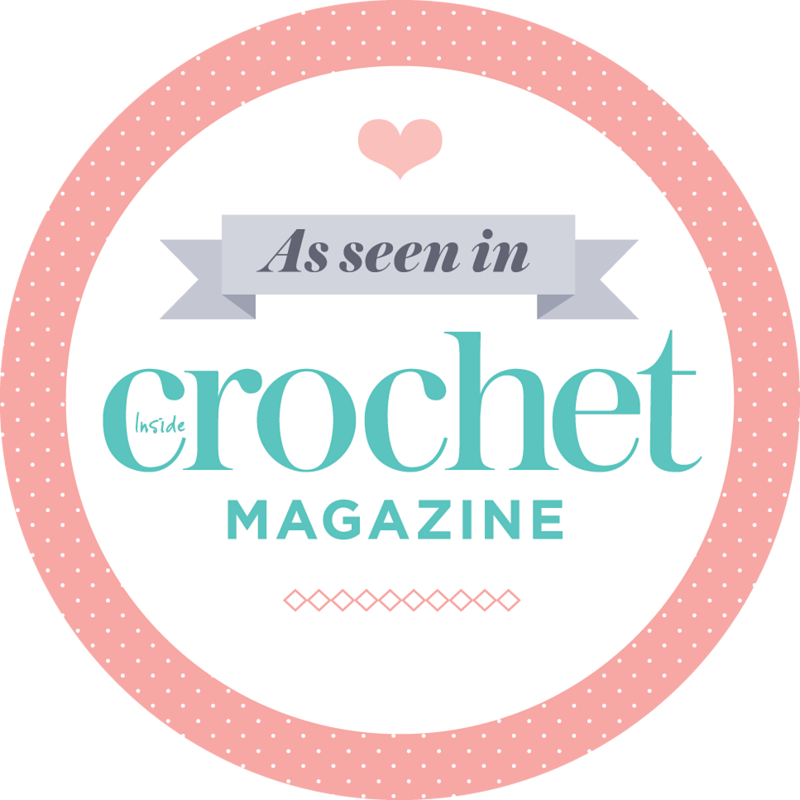 Way back in August I blogged about The Making Spot’s crochet along and flower swap. I made a cute silver bracelet out of crocheted balls and a flower for the swap. 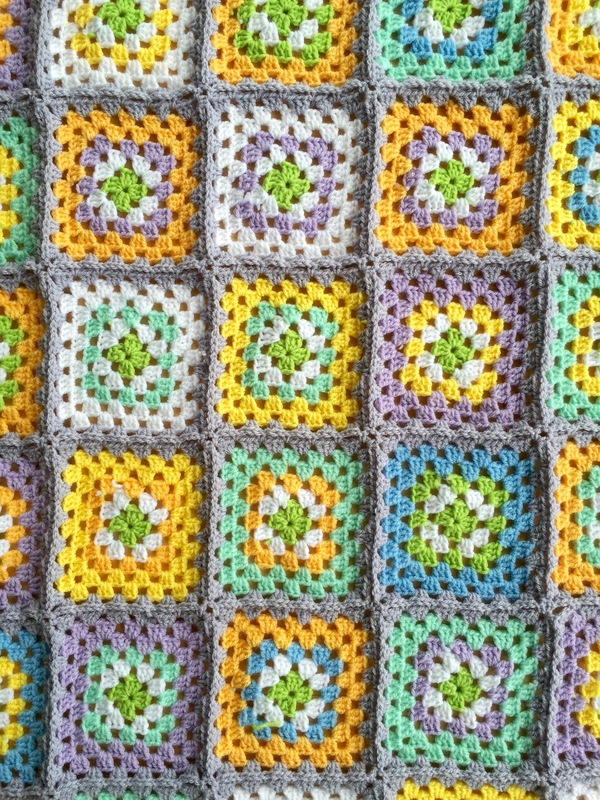 I took part in the crochet-along as a way to challenge myself to work with super fine crochet thread and the tiny 1.5mm crochet hook it called for. 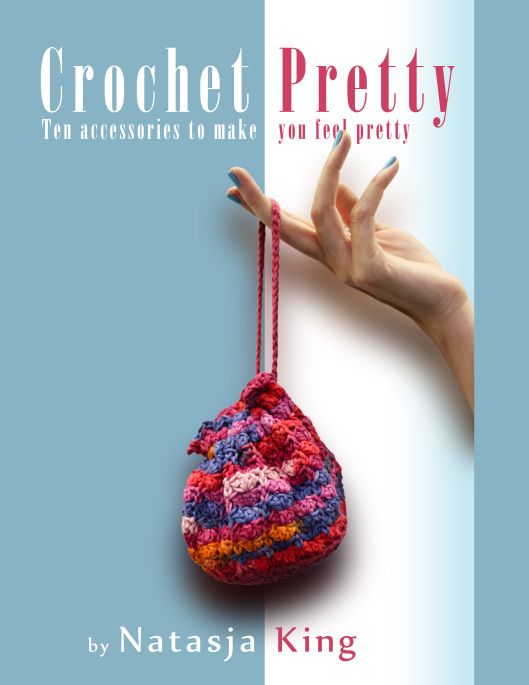 Surprisingly, I really enjoyed it and vowed to use the left over light grey crochet thread for more jewellery items. I posted my flower to the headoffice for them to send on to someone else. I would then also receive someone else’s flower. The flower arrived last week along with a handwritten note from Jenny at The Making Spot and a book of Christmas themed knitting patterns. How nice is that?! My flower, or in fact, group of three flowers, is from Jen Beaton, who is also the owner of TheOtherMrsBeaton Etsy shop and blog. 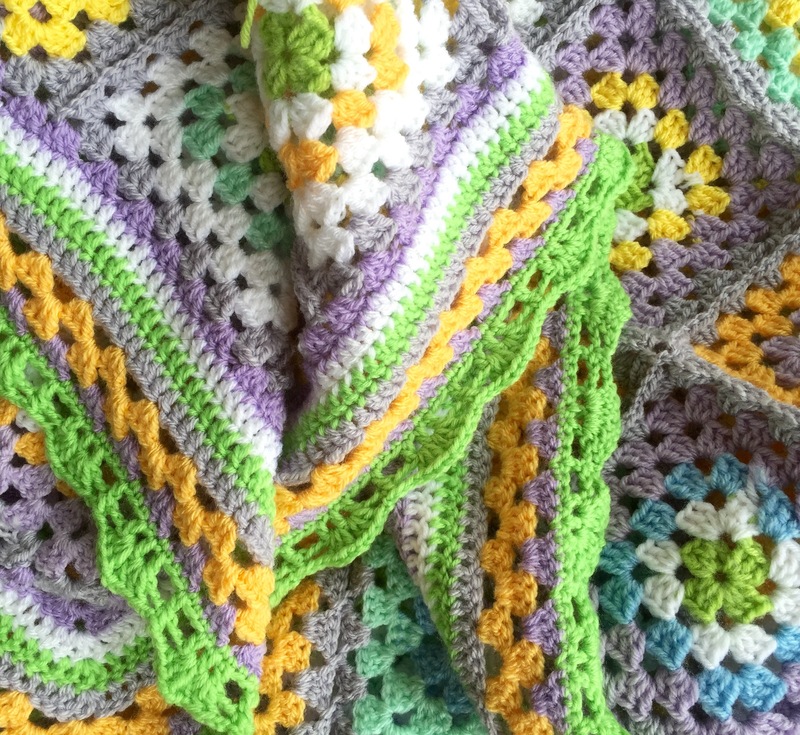 Have a look at her granny square buggy blanket – it’s lovely. Jen also received my flower and says she is going to turn it into a brooch or a fridge magnet. How sweet of her. Part of The Making Spot’s crochet along was a giveaway where one lucky person would receive a hamper from Anchor worth £100. Guess who that lucky person was. Me!!! 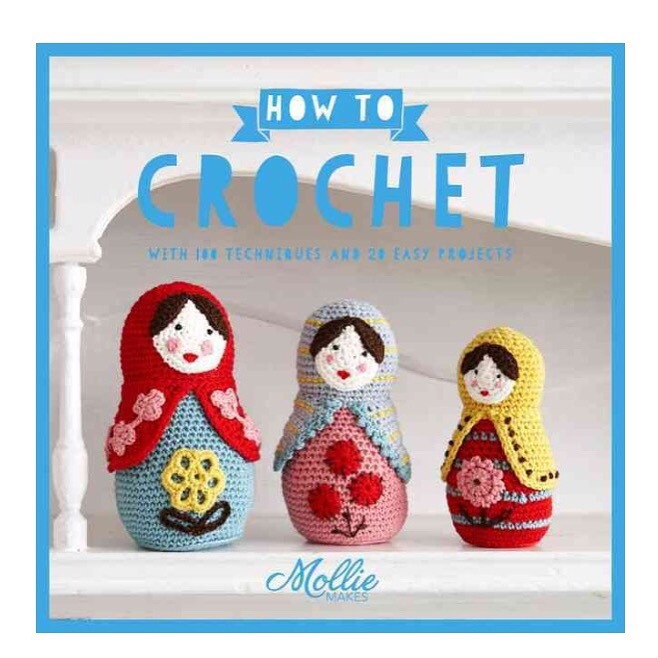 I had totally forgotten about the giveaway aspect of the crochet along, so it was a huuuuge suprise when Jenny emailed to say I had won. 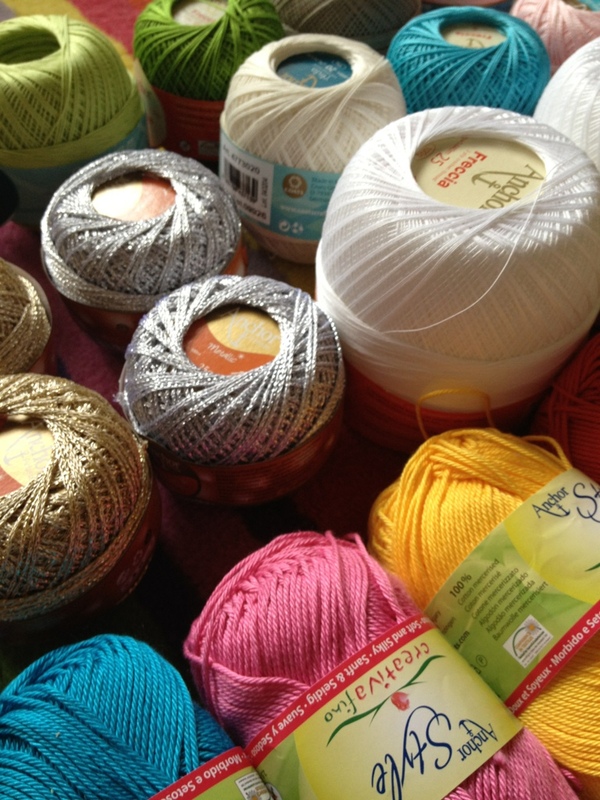 I guess that the gods of crochet was really impressed by my willingness to try something new, so they rewarded me with more crochet thread to play with. The box arrived on Friday. When I got home I put my hair in a ponytail, kicked off my shoes and immediately ran for (not with) the scissors to get to my box of goodies. It felt like Christmas! 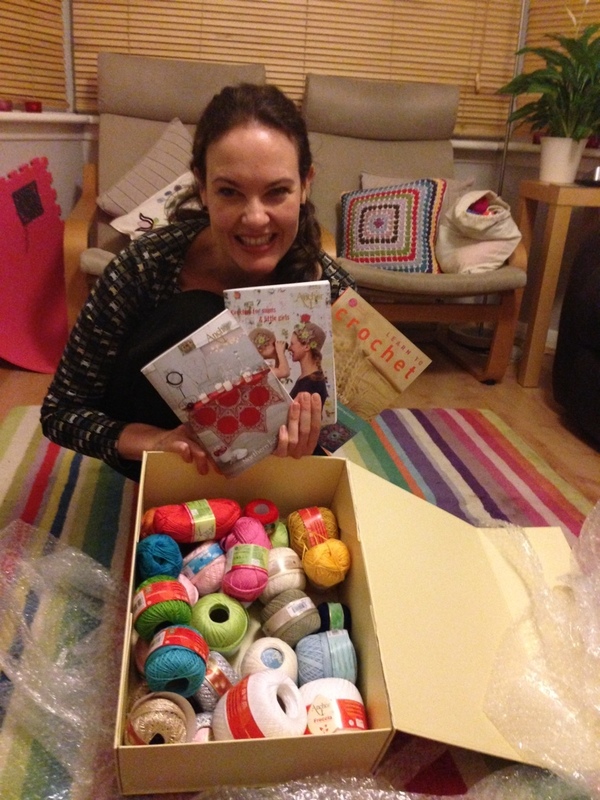 Not only did I receive 26, yes 26, balls of crochet thread, but also three pattern books. Just look at all those colours! There’s even metalic gold and silver crochet thread. Now for the big question. 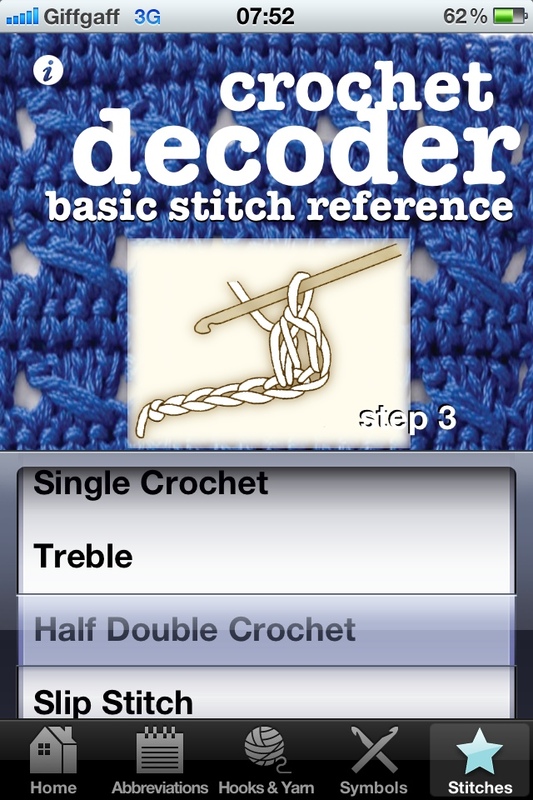 What will I be using my crochet thread for? 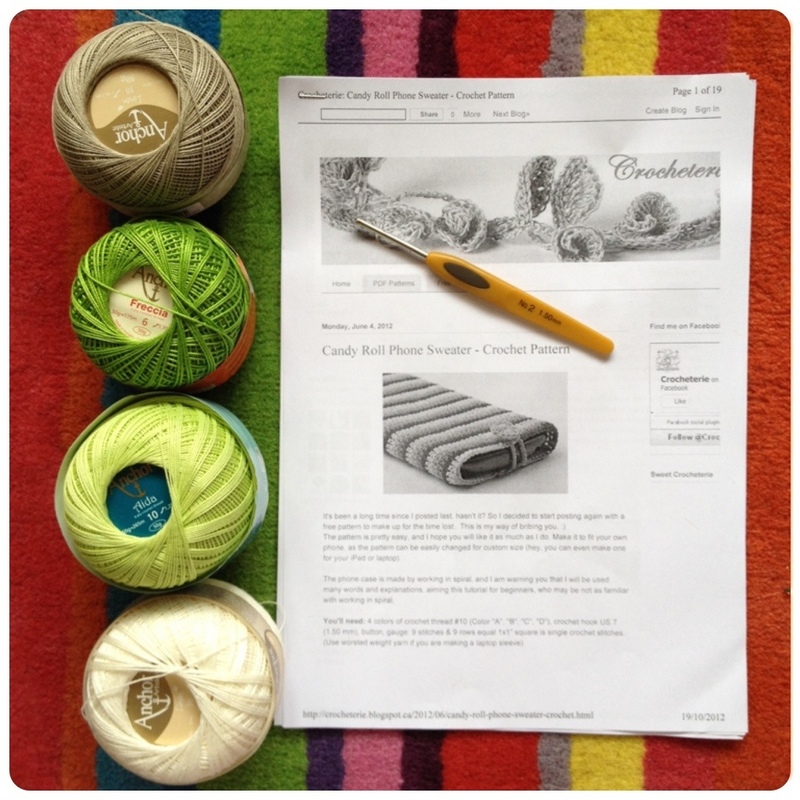 Well… after a few hours on Ravelry and a rummage in my yarn & pattern stash, I came up with three projects. 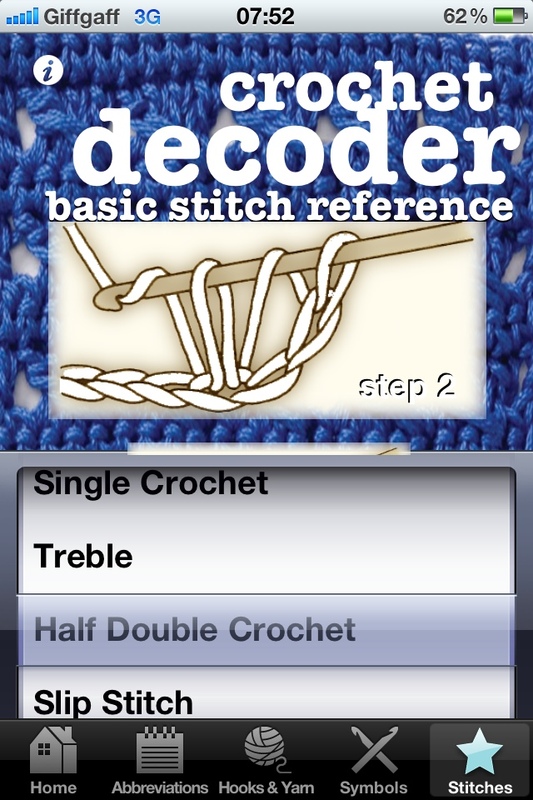 The first will be a cover for my iPhone using Crocheterie’s free pattern. 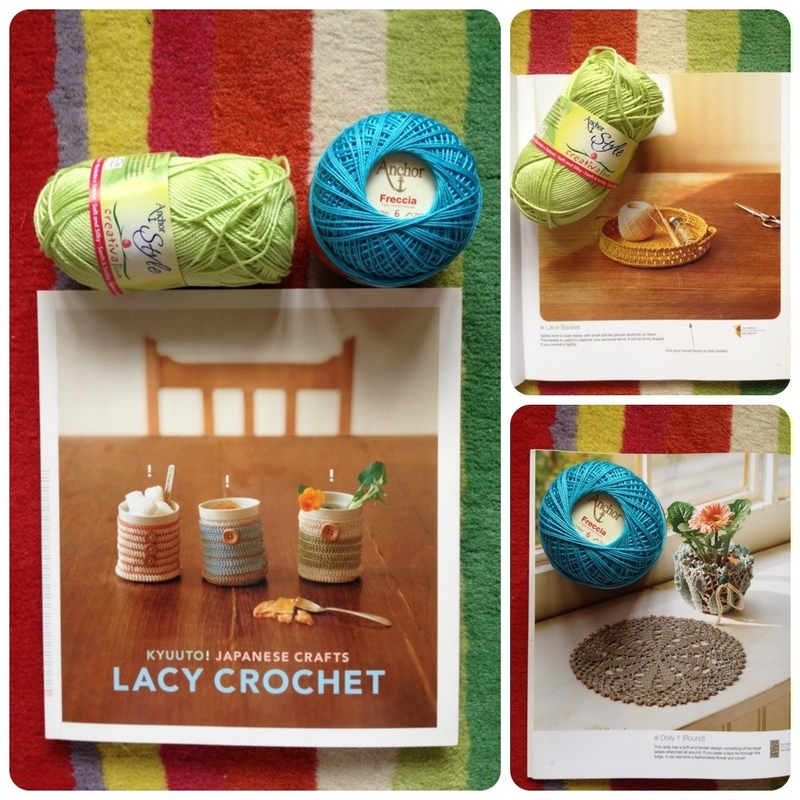 Then I’ll be making two items from the Lacy Crochet book that my Mom gave me as birthday present a year or so ago. The green flat basket is to be used at work for the piles of Post-it pads and bits & bobs that litter my desk. I’ve always wanted to make a doilie but out home decor isn’t suited for doilies so I’ll use it as a covering for a miniature rose potplant I was given by Pieter & Lizelle. In a bright blue you’d never think it was a doilie! To The Making Spot I want to say a huge thank you for hosting the flower swap, crochet-along and the giveaway. 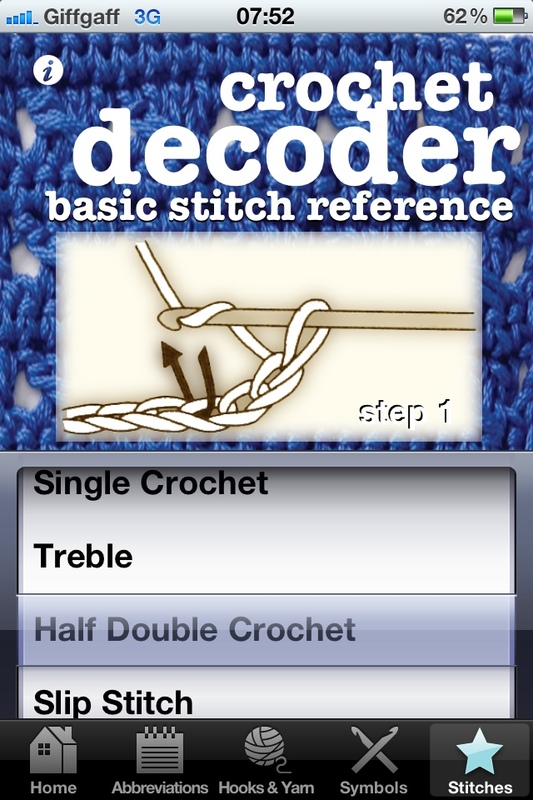 And to Anchor thank you so much for the perfect selection of crochet thread. I don’t know whether you looked at my blog before picking those colours, but boy you got it right! Congratulations Susan! As soon as you send me your postal address, I will send you your two brooches. Here is the screenshot that randomly selected no. 84. How did I award numbers to subscribers you may ask? My 103 subscribers consist of 30 fellow WordPress bloggers, and 73 email subscribers (WordPress bloggers also receive copies of new posts by email so it’s the same thing). However, I had to deduct two from 103, seeing as I subscribe to my own blog 1) via my work email adress and 2) as a WordPress blogger – hence 101 as the Max number. In Excel I listed all the blog followers and email addresses in one colomn. I then sorted them alphabetically and that’s how each person was allocated a number. When Random.org selected 84, I just referred to Excel sheet to find the corresponding email/blog address. All very scientific and fair. Promise! Thanks to this Valentines Day giveaway my blog subscription went from 80 to 103 since its launch on 6 February, which is amazing! Thank you to each and every subscriber that help me reached over 100 subscriptions. You are the best!!!! To the rest of you who weren’t lucky enough to be drawn, here’s a Valentines Day card* from Me to You. I hope you all have a super duper Valentines Day! *The card is available to purchase in LemonsForLemonade‘s Etsy shop. So true Jim. 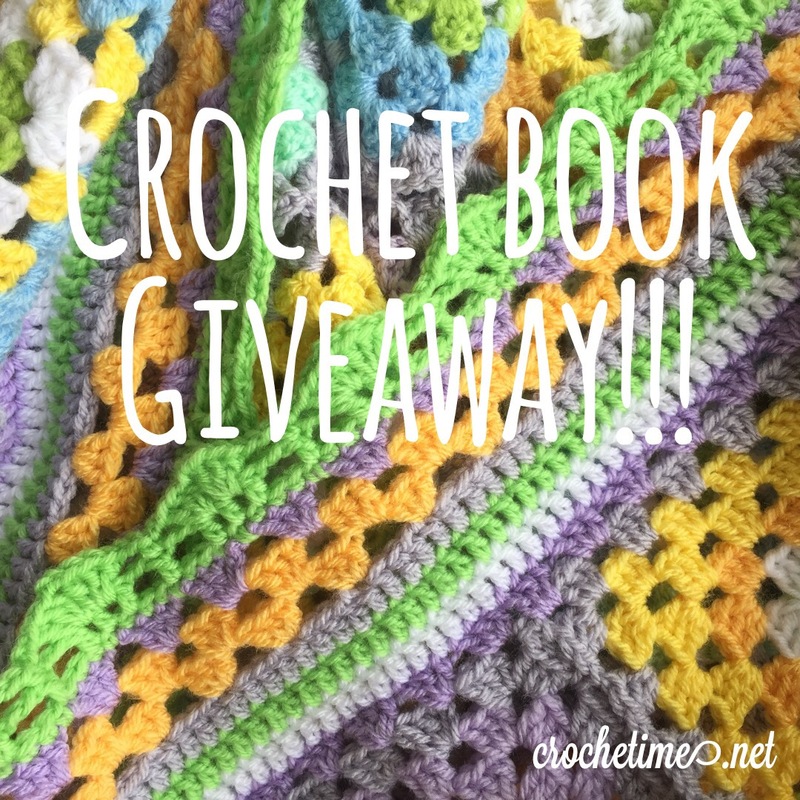 February won’t be February without a mention of Valentines Day, and here at crocheTime, I’m jumping on the bandwagon by giving away a Valentines Day gift to a lucky reader. To say a HUGE thank you to everyone who follow me and my hooky ways, I’m giving away this set of flowery brooches. All you have to do is subscribe to the blog by midnight GMT 13 February. As easy as that! You can subscribe by going to the top right hand side of the page and enter your email address where it says “Click to follow this blog and receive notifications of new posts by email. Join 80 other followers”. The 80 followers I already have, will also be entered into the draw. 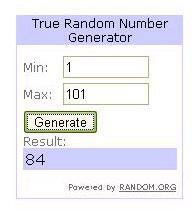 I’ll be using the www.random.org random number generator to select the lucky blog subscriber. I’ll post the result on Valentines Day on the blog and the Facebook page. Congratulations Beatrix! 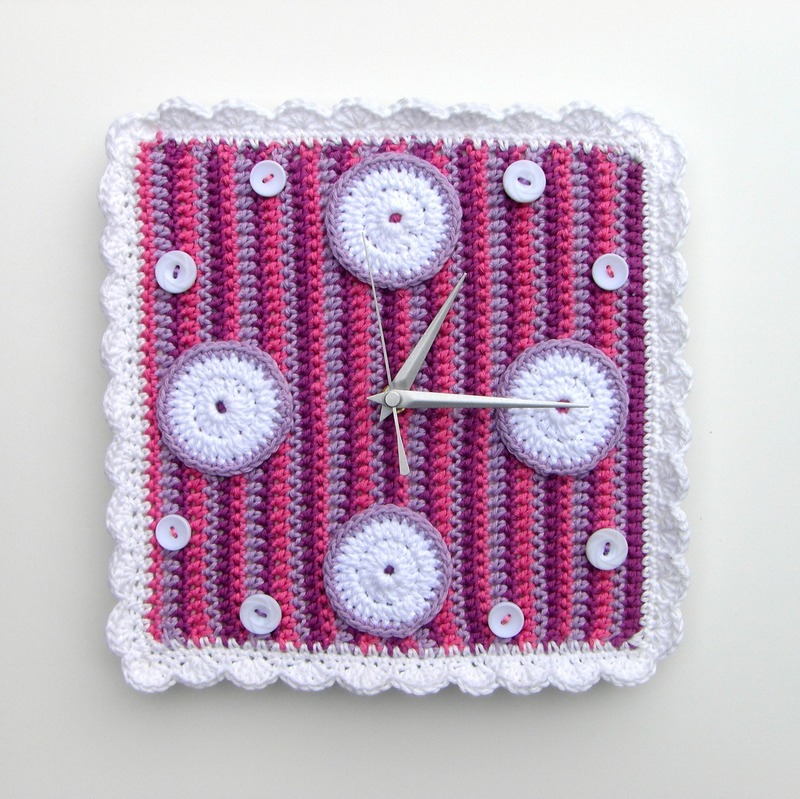 Your square clock will be in the post very soon. Thank you too to the other eight ladies who bought a pattern. 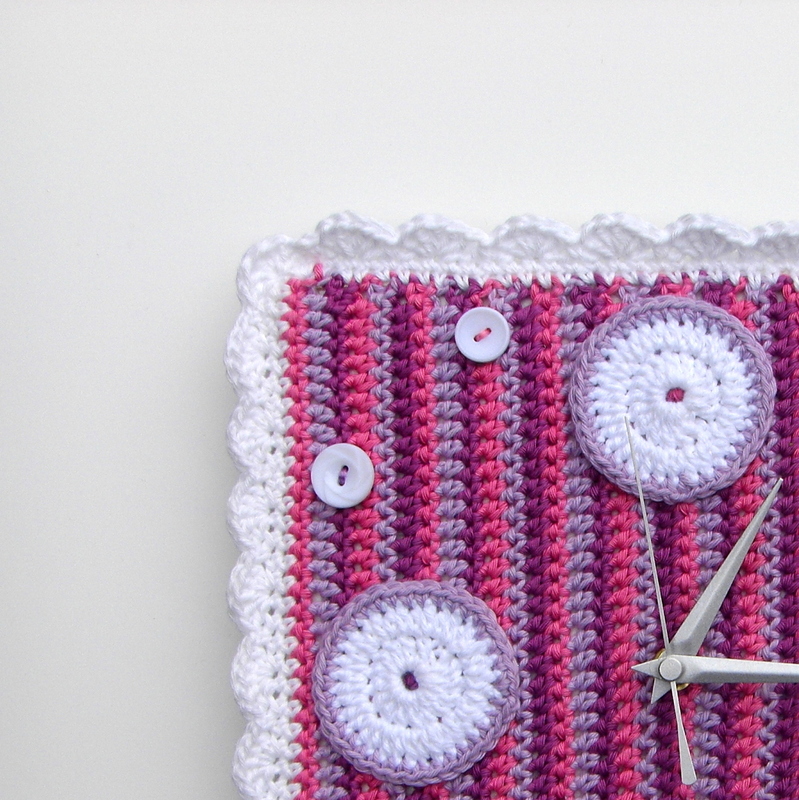 I appreciate your custom and look forward to seeing your completed clocks! 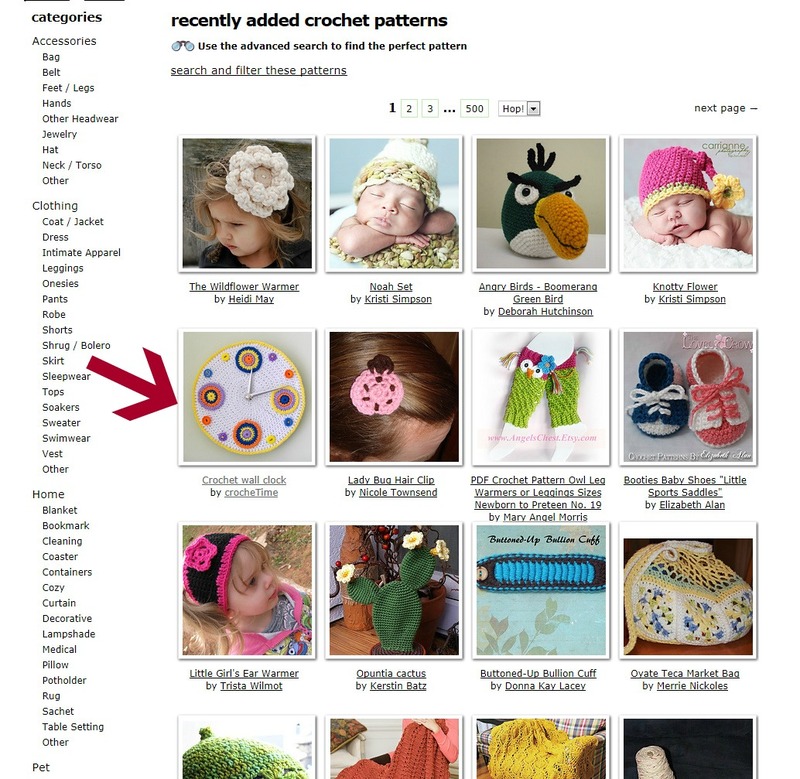 You can link them as projects to the pattern on Ravelry. Thank you too to Hubby who was the official impartial name drawer.